If the National Disability Insurance Scheme is to devolve its planning role to other organisations, it would make sense to utilise peer support people and organisations’ expertise rather than expose scheme participants to the inherent risks of planning by providers, writes Jackie Softly, disability advocate and the mother of an adult son with Down syndrome. The voice of disability service providers, via their peak body NDS, is an important one in creating an NDIS that achieves its vision; however, some of their recent proposals for change to the NDIS ring alarm bells for people with disabilities and families. In May, NDS released a paper called How to Get The NDIS on Track. The paper identified a range of concerns to providers, including “inadequate pricing” and “systems that are not holding up in the rapid pace of implementation”, and a list of recommendations. Some recommendations appear to have merit, but others give me, as a parent, great cause for concern. In particular, the very first NDS recommendation is that NDIS “trial planning partnerships with specialist disability service providers, utilising their expertise and knowledge of their clients whilst managing potential conflict of interest”. (There has already been such an NDIS trial in WA during 2015-16, but it has not been continued). NDS has developed this recommendation to address the “inconsistent quality” of NDIS plans. 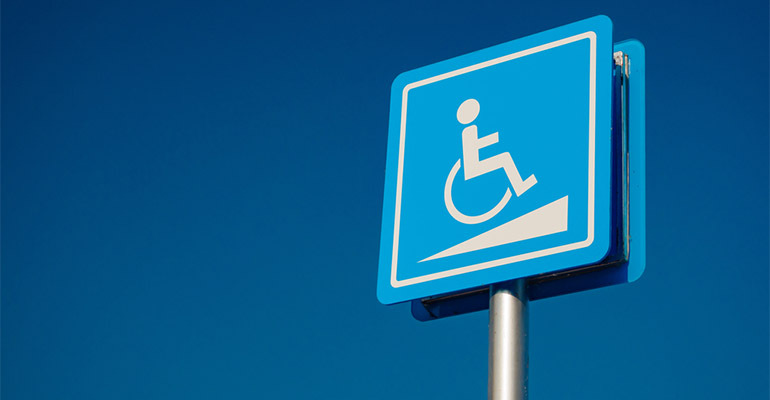 They say this is due to the rapid processing of large numbers of plans, planners/LACs who lack knowledge and experience of disability services, and planners not having information about participants’ existing supports when they enter the scheme. David Gilchrist (chair of Nulsen, a WA service provider) also took up this recommendation in his recent Pro Bono Australia op ed, Time to Save Money and Deliver on a Promise, claiming that fear of potential conflict of interest if providers were to develop NDIS plans was standing in the way of a more efficient and cost-saving way of planning. The NDS report says that providers “have deep knowledge of disability, and they know their clients”, and say that using provider knowledge to inform planning makes sense, particularly for “people with complex needs”. Gilchrist goes further regarding provider knowledge of clients in his recent research Person Centred Planning Within The NDIS saying that for some participants, “their current service provider understands their needs better than anyone else, indeed, the provider may also be the participant’s guardian”. Where are the safeguards against abuse of power if that is indeed the case? Imagine, if you live in a group home, go to work in the same provider’s sheltered workplace, go on their holiday programs and (this is really worrying), the provider is also your guardian, how would you even know you had other options for planning and service provision, and how would you exercise your choice and control? The risks of service providers developing NDIS plans for their existing clients are many. That they profess to know their clients so well should in itself show that there needs to be some separation of roles and independent planning to maximize the person’s real choice and safeguard them from abuse of power; we’d be naïve and neglectful to think otherwise. The concerns around anyone assuming this knowledge and the belief that current service provision is achieving the best for a person are (among other aspects of person-centredness) explored and explained by renowned international educator and consultant, Michael Kendrick in his paper When People Matter More Than Systems. NDS and providers would do well to consider their position regarding knowing their clients best and the impact of that belief. The NDS report also recommends that planners have access to “an accurate description of current supports, sourced from the participant and his or her current providers”. This seems to be a sensible recommendation, but assumes people want to continue their current provider and supports as is. There are other recommendations that also make sense, but there are some that seek to perpetuate old employment, day care and accommodation services that deserve to be examined much further to establish the motivating factors and why other possibilities more in line with the NDIS vision seemingly aren’t as supported by NDS. If there is such great concern by providers that planning should be done by people who better understand disability, then it makes a lot of sense to me to involve peer support people and organisations in planning, or for them to have a greater, funded role in pre-planning. As well as the specialist knowledge of disability, peers understand what good support looks like, and have a real commitment to helping that isn’t clouded by vested interests. Many peer support organisations have the capacity to undertake this role, and the NDIA’s Disability Support Organisation (DSO) project over the past couple of years has built a significant network of groups of people with a good understanding of the NDIS as it relates to their particular support needs. If the NDIS is to devolve its planning role to other organisations, it would make sense to utilise this grassroots expertise rather than expose scheme participants to the inherent risks of planning by providers. It is important that the provider sector continues to contribute to the ongoing discussion and evolution of the NDIS, but as a parent and disability advocate, I’m concerned that the provider voice drowns out that of disabled people and their families, and seems, knowingly or unknowingly, to be seeking to perpetuate the old structures of power. Disabled people and families have fought for many years for a system that puts the power, the real choice and control where it belongs. To achieve that, NDIS must maintain separation and minimise provider influence at all costs and involve people with disability more. About the author: Jackie Softly is the mother of an adult son with Down syndrome, and has a young granddaughter with Autism. 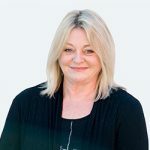 She has worked in the WA and national disability sectors in a range of management and board roles for over 30 years, as an independent disability standards monitor, and as a consultant to government and disability sector organisations. Jackie is a past chair of the WA Ministerial Advisory Council and a strong supporter for many years for a sustainable disability support scheme. As she winds down towards “a sort of retirement”, Jackie is returning to spending more time working in peer support in the Down syndrome community, (including some work on their DSO projects), as well as continuing as much as possible as an advocate and activist to help disabled people be in the driver’s seat of their lives.